UrbanSitter provides a comprehensive and cost effective childcare solution for companies. 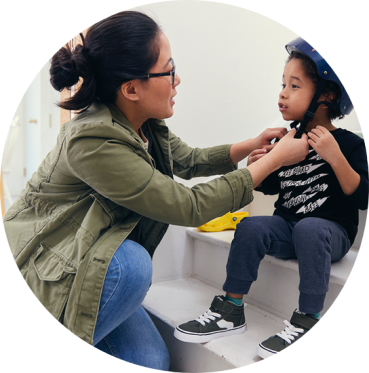 Our membership-based service helps your employees easily find, book and pay trusted sitters for all of their childcare needs—backup care, occasional babysitting, and full-time nannying. Why invest in employee work-life balance? 66% of parents leave their current job for one with better benefits, according to The Pew Research Center. Find, book and pay all in one place. No playing phone tag or detours to the ATM. UrbanSitter is available in over 65 U.S. cities with more than 325,000 caregivers. Only UrbanSitter unlocks a parent's personal network to find sitters of people they know and trust. Nanny call in sick or working late? No problem. Most sitters reply in 3 minutes or less. The trust and safety of our members and their families is of the utmost importance. We strive to provide members with as much information as possible to make well-informed decisions. UrbanSitter accepts less than 25% of potential sitters. With UrbanSitter, you only pay for employees who enroll, which means no wasted resources. Employer-paid memberships for employees who enroll. Employer-paid credits* to subsidize employees' childcare expenses. * Amount & frequency are customizable. Choose one-time or recurring credits for employees. Launch your benefit in as little as 48 hours! HR teams love our refreshingly streamlined on-boarding process. Pick the program options that best fit your company's needs. Review and approve your company’s customized benefit portal. Promote your benefit with marketing materials provided by UrbanSitter. "66% of parents leave their current job for one with better benefits"
"We're passionate about supporting working parents, and UrbanSitter is the perfect addition to our suite of benefits." "Offering UrbanSitter membership to our employees has been a smart, cost effective way to show our parents that we value them and want to provide benefits that make their lives easier." Contact us to learn more about UrbanSitter childcare benefits for your employees.